This isn’t your Bubbe’s storytime! 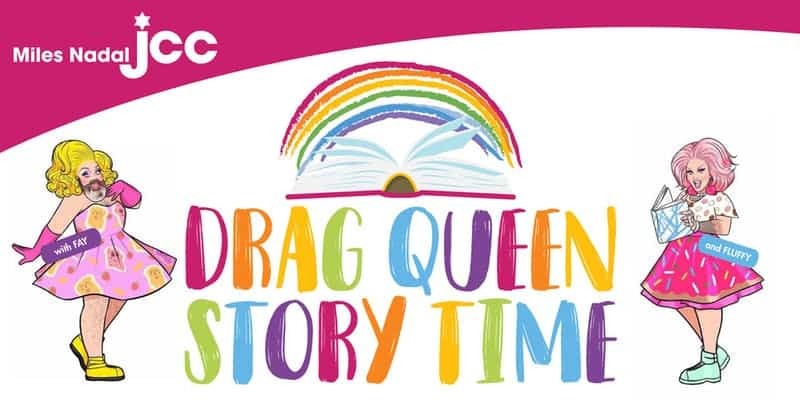 Back by popular demand, Drag Queen Storytime brings drag queens and families together to share in an hour of storytelling, dress-up, and fun in the name of literacy and freedom of expression (with a little Jewish flair). Meet Fay & Fluffy for an ACTION-PACKED morning in a supportive and inclusive environment. Drag Queen Storytime for Chanukah takes place at the Miles Nadal (750 Spadina) on Sunday, December 9 from 11 a.m. to 12 p.m. The event is free, but it helps if you register here. AAAND check out the other great Miles Nadal happenings for Chanukah, like 8 Days Of Fitnukah and Chanukah Candle Lighting. Chag Sameach!